Who doesn’t love receiving gifts? And when it’s made by little hands with all the love and dedication in their hearts, it’s simply irresistible!!!! 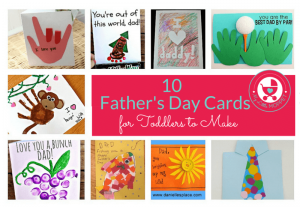 This Father’s Day, skip the store bought cards and same old gifts, and make something completely unique and from the heart. 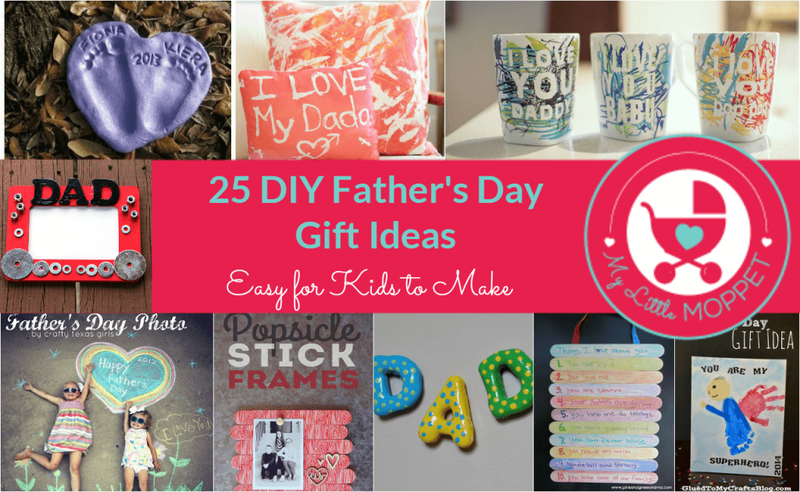 Here are 25 easy DIY Father’s Day gift ideas that even little kids can help make! This was our first father’s day with our new daughter last year. My husband had always wanted a daughter, so I decided to make the year of her arrival special for him. We dipped our kids’ feet in red paint and made two hearts and my 5 year old son wrote the words. Besides paint, little footprints can also be used to make this adorable little salt dough footprint heart keepsake. After getting the impressions, let it dry and then paint all over in Dad’s favorite color! When was the last time someone wrote a book about you? 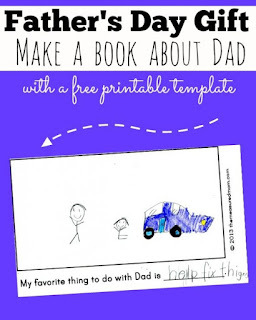 Well, that’s what’s happening this Father’s Day, with this Father’s Day Book printable!! There are even separate versions for ‘Daddy’ and ‘Papa’! 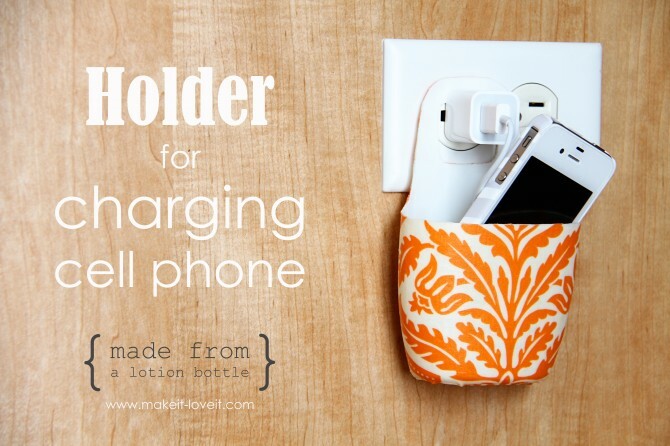 Make good use of old plastic bottles with this recycled holder for charging cell phones. If there’s a baby at home, then used lotion bottles work perfectly! 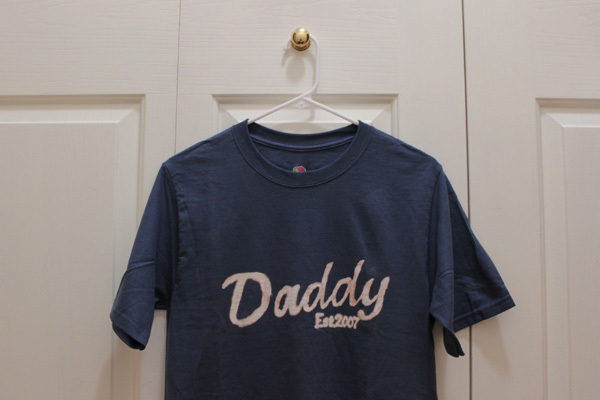 Make lounging around a lot more fun for Dad with this personalized Daddy T shirt, showing the year he attained the honor of celebrating Father’s Day!! This is really easy with some spray adhesive and a stencil! 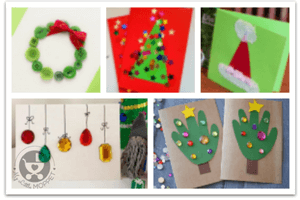 This is a really sweet little craft that can be framed as a poster or turned into a card, not to mention a really innovative way of using hand and feet prints! 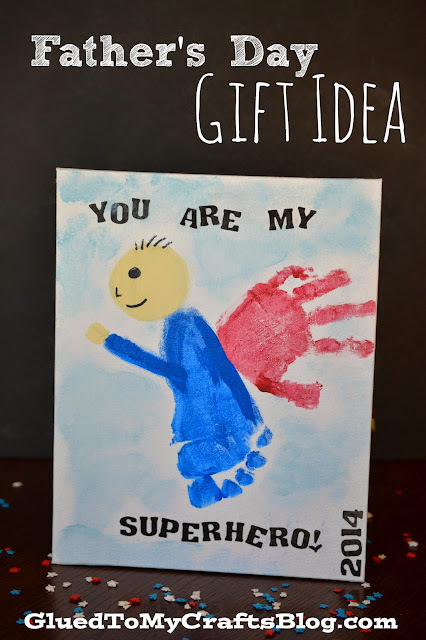 With basic craft supplies, this ‘You are My Superhero‘ gift is a breeze to make! 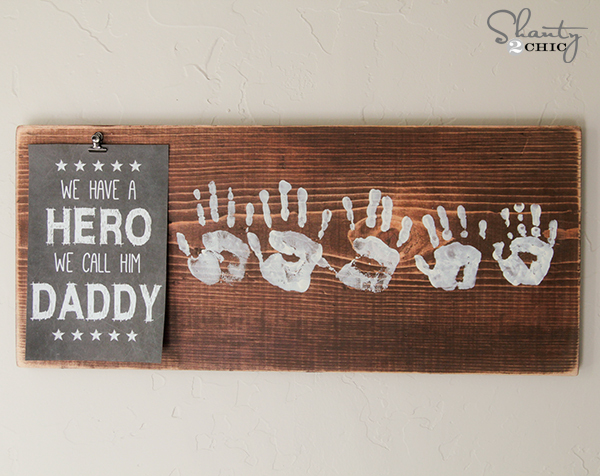 This Father’s Day Wall Hanging is a very impressive looking gift, which doesn’t require as much look as it appears! 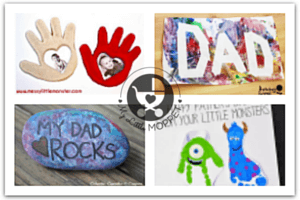 There are free printables for every version of Dad, so don’t hesitate from making one for Grandpa too! Little ones will have a blast doodling over white mugs to create these special Father’s Day Coffee Mugs!! The best part – it can be completely customized! We all love lists, especially when it says nice things about us!! 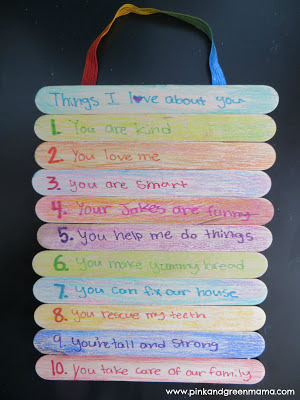 Get your school going kids to make this easy popsicle stick sign for Dad, listing out his various qualities. Photo frames always make lovely gifts, because you can take a picture of the occasion and frame it to keep the memory alive. 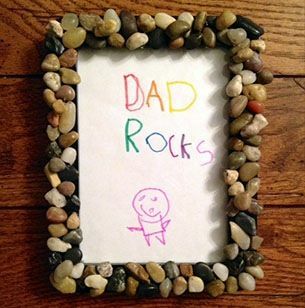 Dad needn’t be a geology lover to admire this lovely rock photoframe created by his kids! 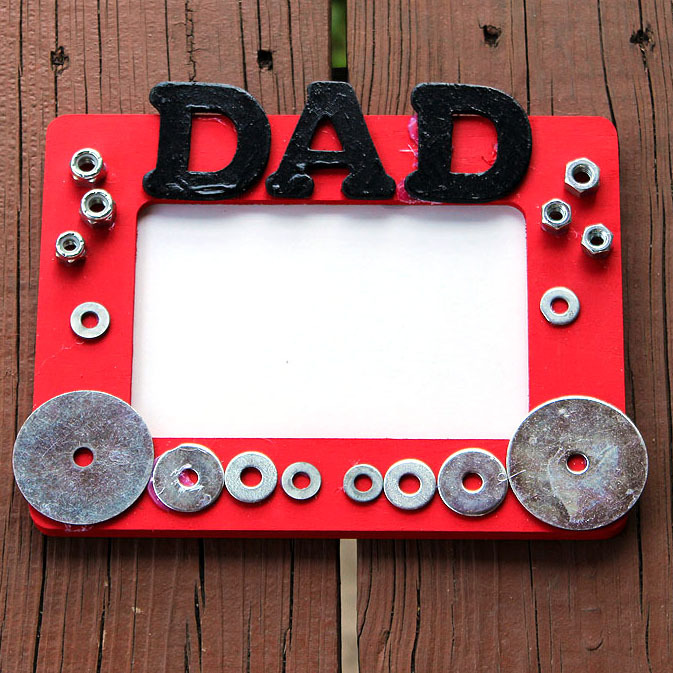 Speaking of photo frames, we’ve got another one for the Dad who loves pottering about in his workshop – a nuts n bolts Dad frame. And he’s going to love that real nuts and washers were used in his gift! 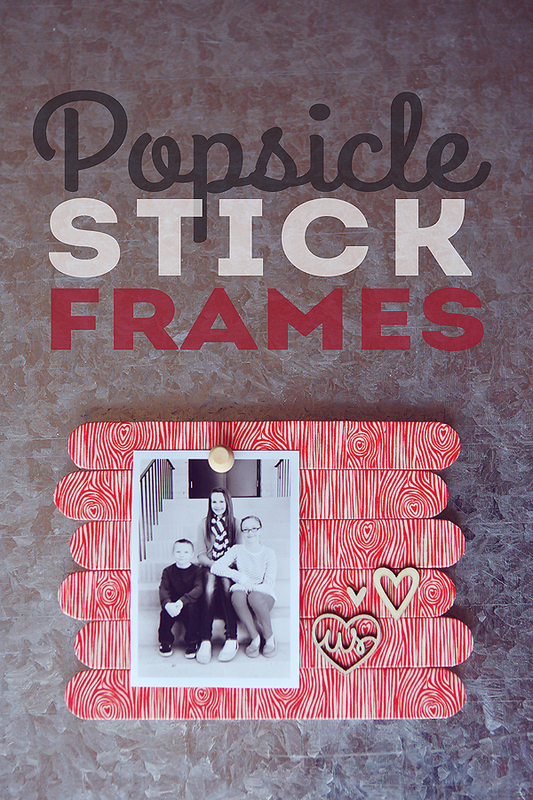 Now, this popsicle stick photoframe is a real last minute gift – it literally takes under half an hour to put together! 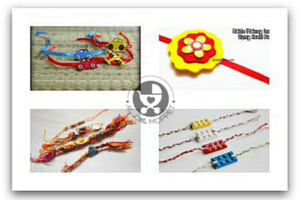 And you can make as many as you like, in different colors and patterns. 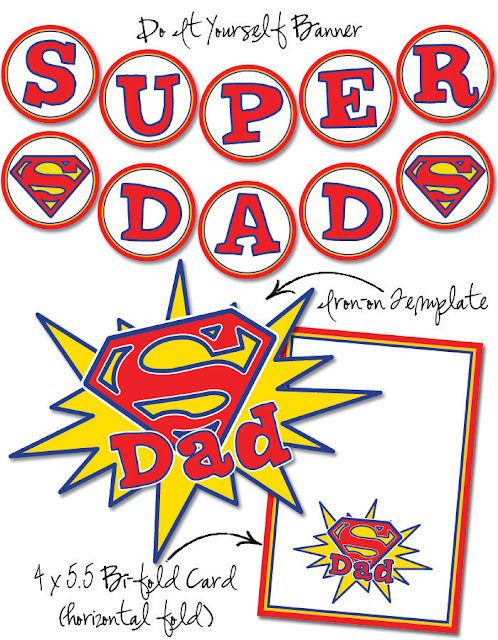 Every man secretly wants to be Superman, so let Dad know how super he is with this superhero Dad banner! It’s very easy to make; just download, print and make! 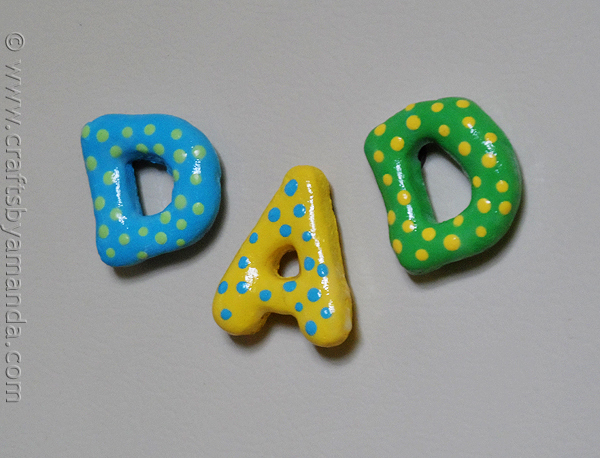 Let Dad be reminded of his kids’ creativity every time he goes to open the fridge – by sticking these salt dough Dad magnets on the door! Is the Dad in your family someone who loves his couch and his remote? 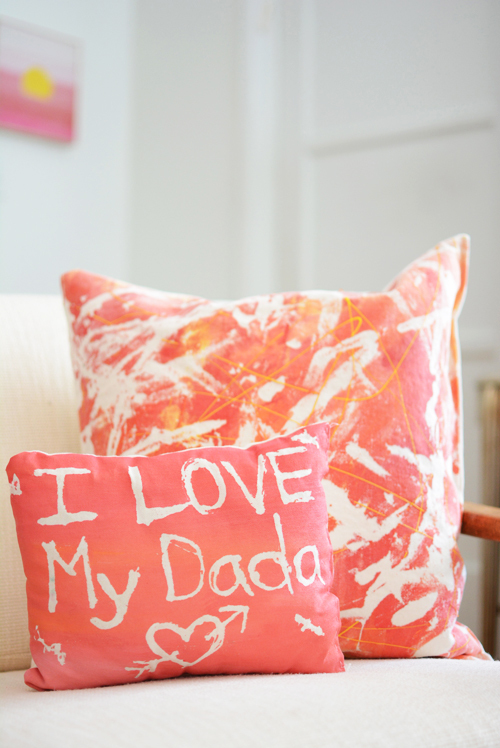 Then make it worth his while with these chic looking fabric resist art pillows!! And the art can actually be anything you like! 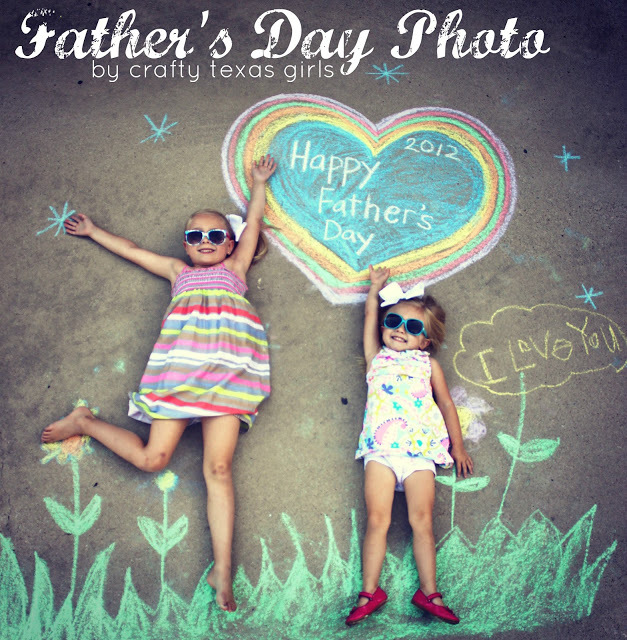 How unique is this Father’s Day photo idea?? This is such a fun photo to take and one that will have the whole family smiling several years later too! Here is a Father’s Day Book that will knock the socks off all the other gifts!! A beautifully designed and customized book, authored by you and your kids! Now this gift is sure to bring out the chuckles!! 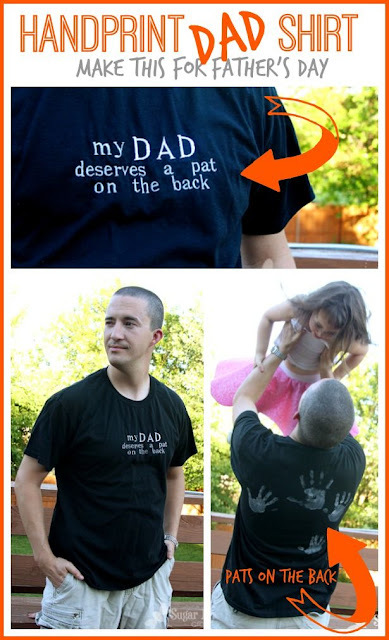 This is no ordinary handprint T shirt – it is a show stealer!! Does Dad spend too long at work? 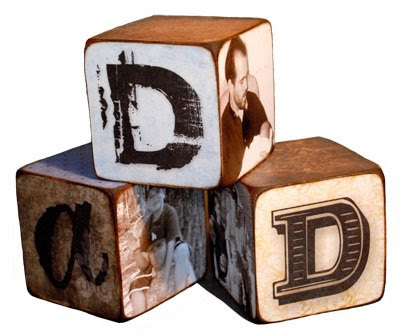 Remind him to come home soon and meet his little munchkins – with these super adorable letter blocks!! 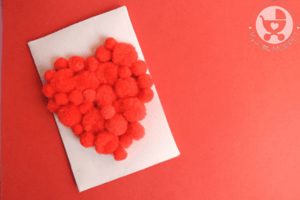 Make them in neutral colors so that he can keep them on his desk at work. No Dad is ever without his keys so long, so let him hang on to his family all the while with this custom photo keychain! Get a cute or funny pic of the whole family that’ll bring a smile every time he looks at it! 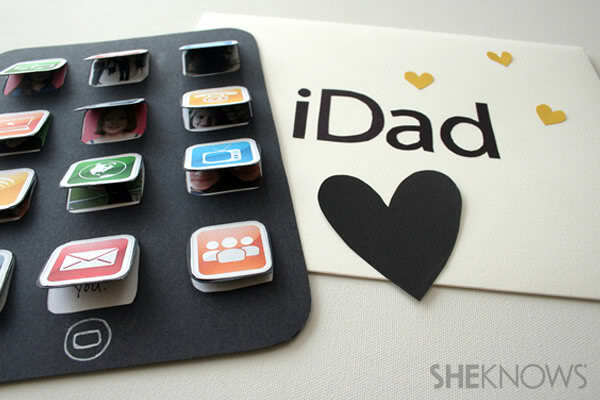 A clever word play on the iPad results in a very cute card for the techie Dad in your family! 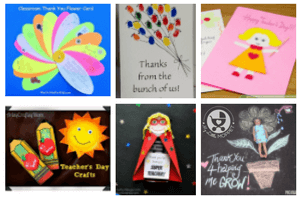 Once you print out the templates, all you need is scissors, glue and cardstock! You keep pulling out your wallet several times a day, so why not make each time an opportunity to look at an adorable little face? This wallet size picture frame helps, and there’s even a free printable for download! This is among the easiest gifts to make on this list! 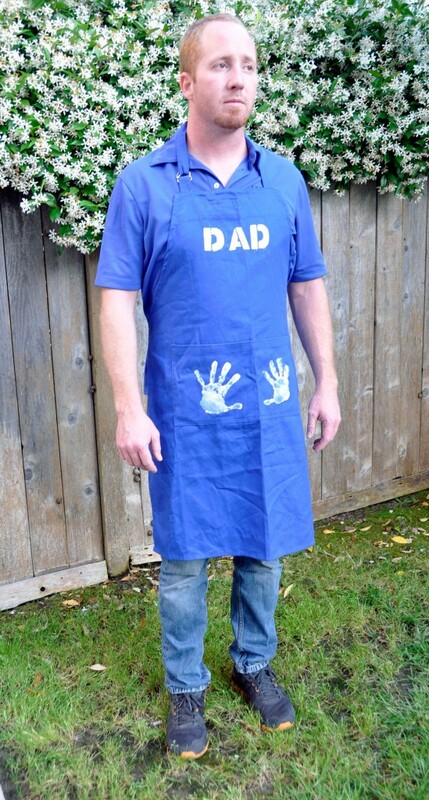 This Father’s Day grilling apron will encourage Dad to get grilling and celebrate with the whole India!! There’s something adorable about kiddie hand prints, probably because they grow so fast!! These 15 handprint crafts work perfectly for toddlers and preschoolers, since they don’t require much effort. This is one that deserves to be framed in a large frame!! 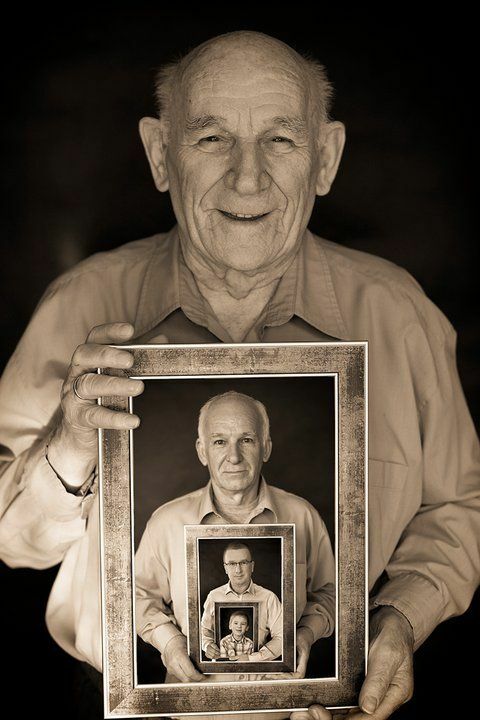 Use pictures of Dads in each generation in a different frame for this ultimate family classic!! So you see, you don’t need elaborate or expensive gifts for Father’s Day to make the special Dad in your family feel special. 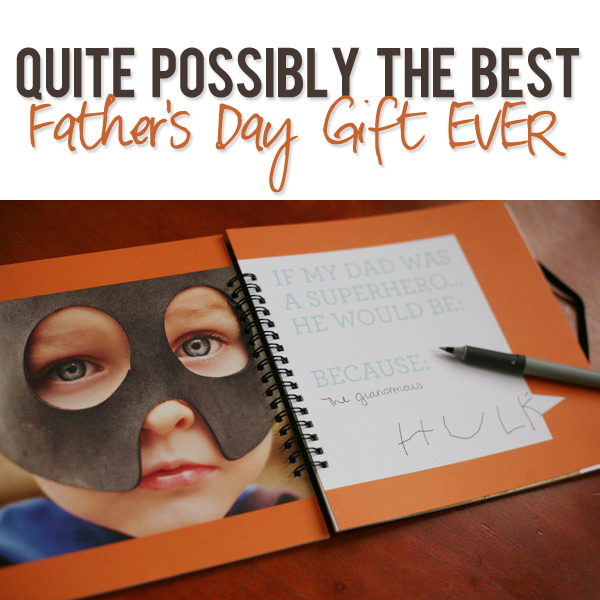 Some basic craft supplies and a little time and effort will go a long way in keeping Dad happy not just for this one day, but for the rest of the year! Need even more ideas? 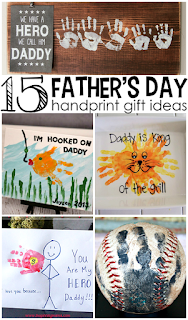 Be sure to follow my Father’s Day Pinterest board! So tell us, what are you doing for Father’s Day?